The Sofitel at T5 is my usual hotel of choice for T5 as it is attached to the terminal. I hadn’t stayed there for over a year, so I decided to try it out on my way back from Honolulu, before completing my Dublin flights. I still think of the hotel as new but I was surprised that when I looked into it, it has actually been open since 2006! So how is it faring after being open for over 10 years? The Sofitel is connected to T5 by a walkway and is well signposted. To access it, you go to the lifts for the short term carpark and go down to level 1. 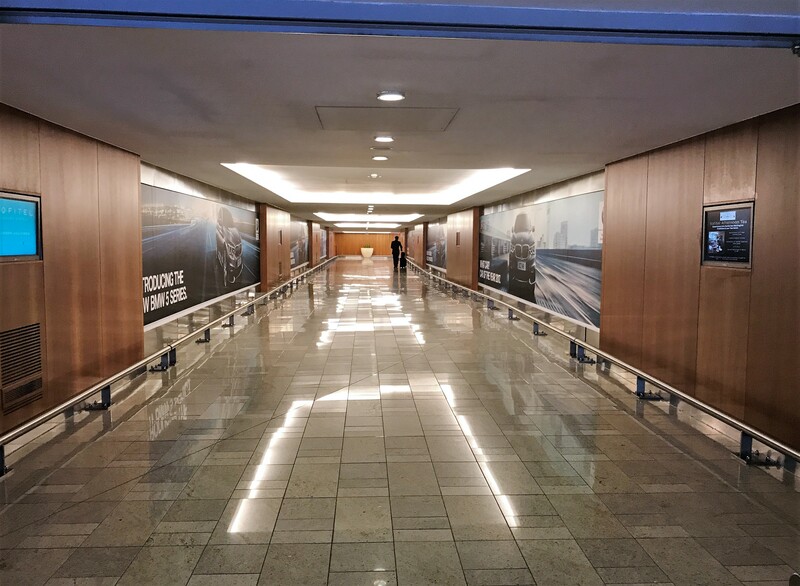 It takes around 6 minutes from leaving the terminal to arriving at reception and is a very straightforward route. 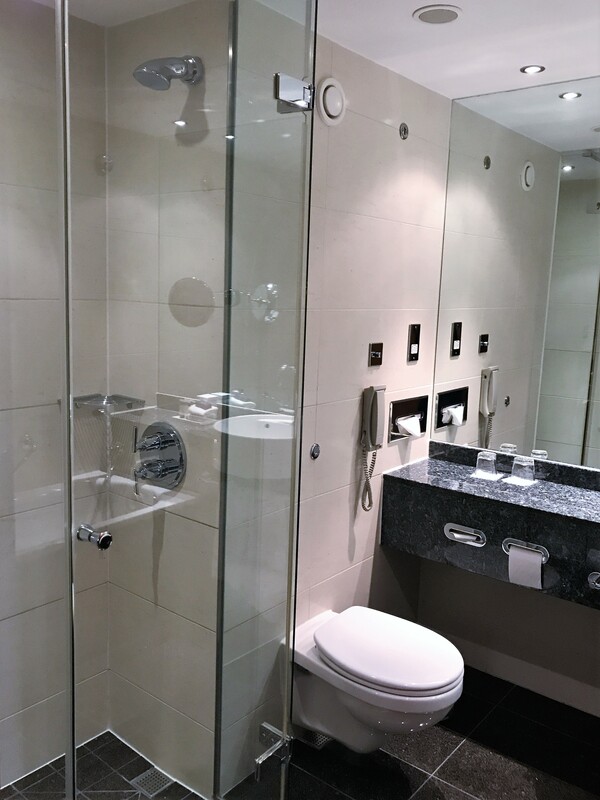 You could also stay here if you wanted to travel from terminals 2 and 3, as it is an easy and free ride on the Heathrow Express. I have always found the check in at the Sofitel to be very efficient as well as friendly and this was no exception. I had originally planned to visit the Club Lounge at the Sofitel, using my Priority Pass. However, Sofitel withdrew from the Priority Pass program very recently and Sofitel’s PR company kindly stepped in to allow me Club access. At check in all the benefits of the lounge were explained and I was offered an exterior facing Superior room on the 3rd floor. The rooms are arranged in wings, which can be a little confusing in terms of room numbers as the wing number comes before the floor number. I stayed in a superior room. 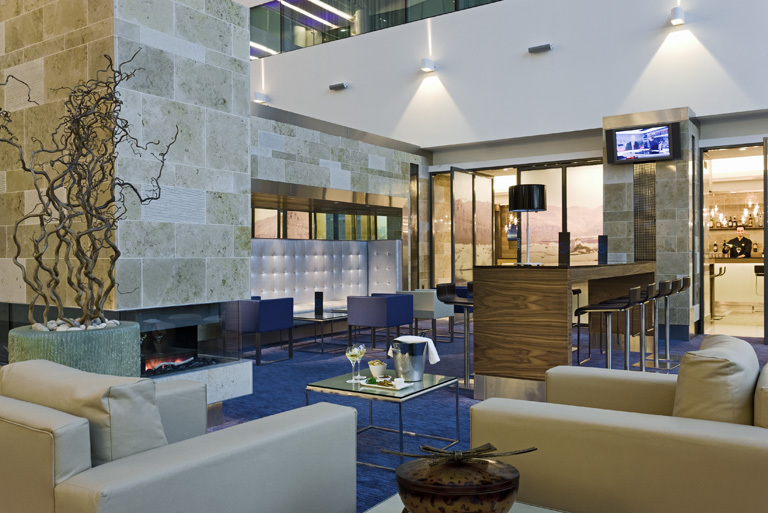 To access the Club lounge, you would need to book a Luxury room. There is little difference between the categories other than the size of the bed and a slightly larger room. If you are sharing the room, you may want to go for the Superior room to get a king size bed, as the entry level Classic room only has a Queen or twin beds. The rooms, that seemed very modern a few years ago, are feeling a little dated to me but are still wearing well. They are incredibly well sound proofed and despite being close to the road as well as a major airport, I could not hear any noise from outside at all. I would say this was one of the quietest airport hotels I have stayed in. 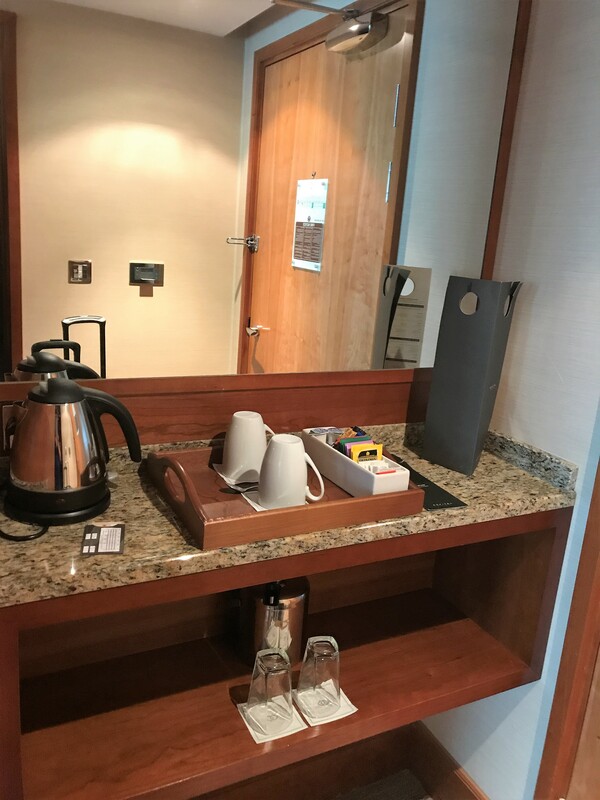 The room had everything I could need including iron and ironing board, dressing gown, slippers, tea tray, desk with plenty of sockets and an interactive TV. The TV could be used with your own device to mirror your screen or there was a media hub to plug your device in. There were also some apps such as social media available through the TV. The TV had a good range of Freeview channels available although the guide didn’t seem to work for some of the channels. The bed was Sofitel’s signature myBed, which I always find extremely comfortable. You can even buy the bedding if you really like it. I would have liked to see sockets by the bedside table in a relatively modern hotel such as this. The only thing that I really don’t like about the Sofitel at Heathrow is the light switches. Talk about over engineering something! There are 6 switches on each panel, some that don’t have a label and those that do have very small labels. I find it takes a least a couple of goes to get the right light and then work out how to actually get it to go on or off! Fortunately by the bed they have a reading light and a lamp which are a lot easier to work out. There is a large desk area with plenty of sockets if you need to work. Water was provided in the empty fridge but for some reason there was only 1 bottle of sparkling water instead of one of each. 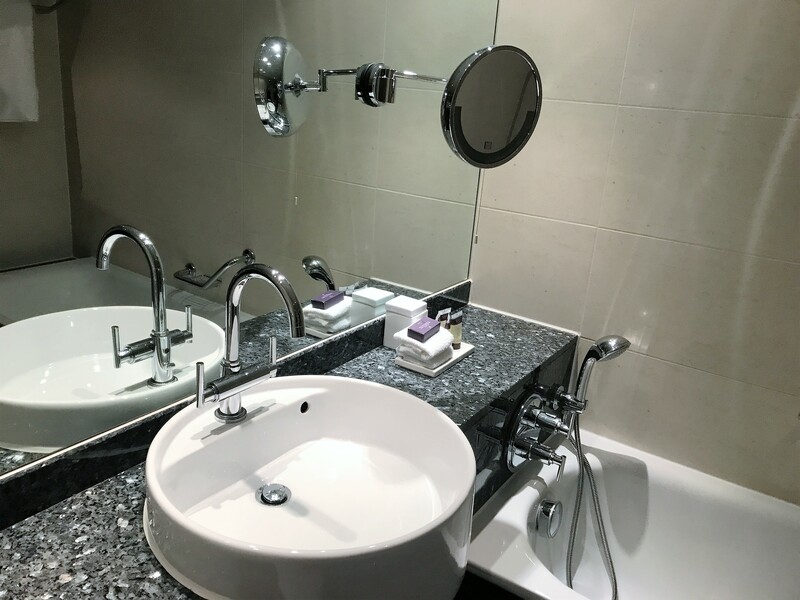 The bathroom was well designed with a separate bath and large powerful shower. As usual the toiletries provided were my favourite ESPA ones in decent size tubes. There was a lit shaving/make up mirror, plenty of large, fluffy towels, and a decent amount of counter space for all your belongings. Everything was very clean and in good condition. Whilst you may think this is a given, it is surprising how many hotels where it is not the case! Despite staying at the hotel a number of times, I had never got round to using the spa. Having done so now, I would make sure I have time to use it in future. 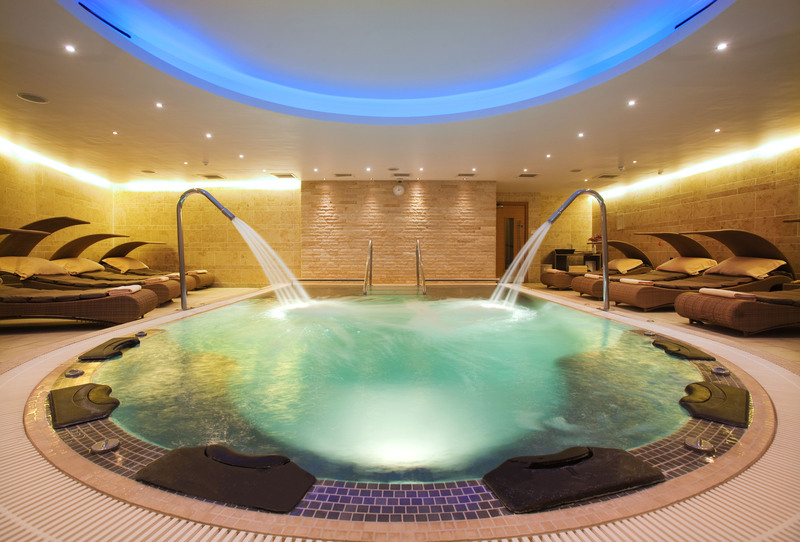 The spa is designed in soothing, neutral colours and feels luxurious. The facilities are impressive with a hydrotherapy vitality pool, power showers including one which literally dumps a large barrel of water over you, sauna and steam room. There were lovely large loungers for relaxing around the pool. The only thing it doesn’t have is a swimming pool. I had pre-booked a couple of treatments beforehand. This is recommended as they don’t always have them available on the day. They offer over 25 ESPA treatments including a range of express treatments which start from £35 and last for 25 minutes. I went for a lighter legs treatment and an express facial to combat the after effects of 7 flights in 10 days! I was really impressed with my treatments. My leg treatment was relaxing and reviving which was ideal before the final 2 flights of my journey. The express facial included most of the elements of a normal facial including a face massage, mask and even a scalp massage. It was all so relaxing I kept drifting off to sleep, although that could have been due to an overnight flight too! If you just wanted to use the facilities it costs £25 but they are free with a treatment. Afterwards you can chill out with a drink in the relaxation lounge. There is a 24-hour fitness centre, a general shop, parking, ESPA shop and hairdresser. If you are on business there is a business centre and printing service. 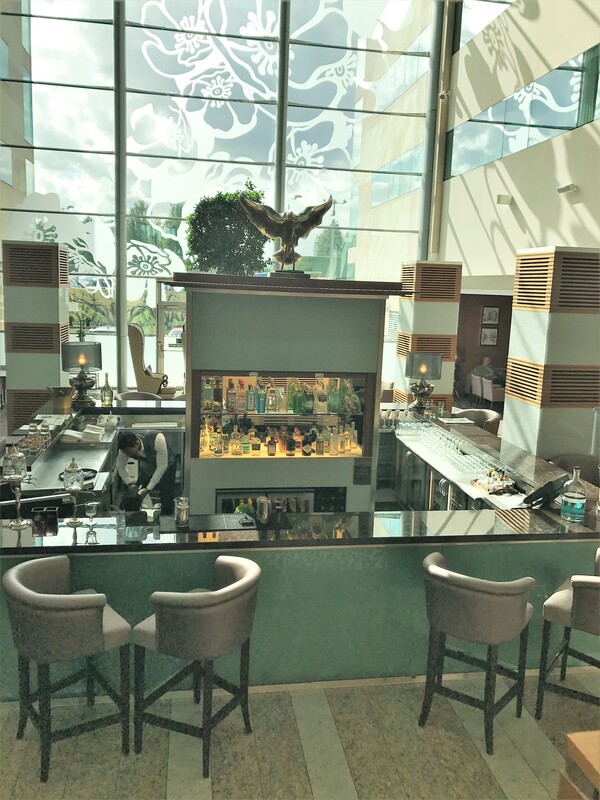 One thing the Sofitel is not short of is bars and restaurants! This is the quieter and more sophisticated of the 2 bars. The bar is a lovely elegant place to sit and have a quiet glass of champagne. La Belle Epoque is the hotel’s fine dining restaurant and offers French food with an Asian twist. 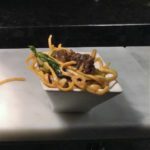 It holds 3 AA rosettes and is open for lunch and dinner. 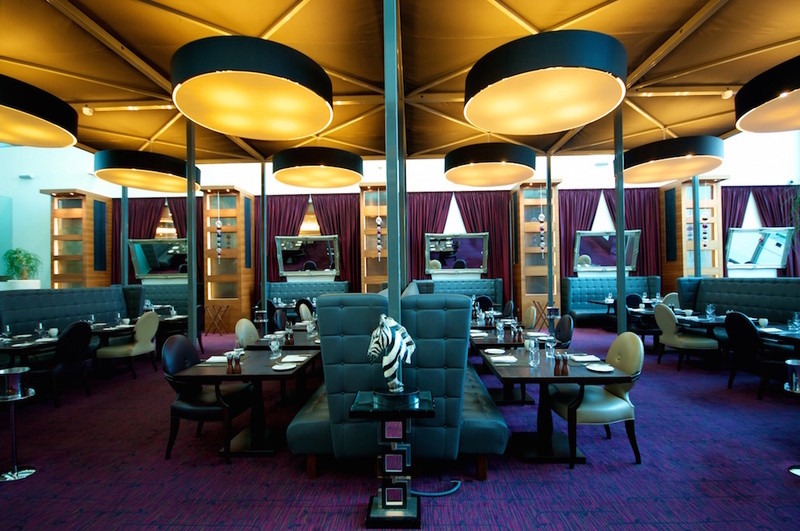 If you fancy something a bit more lively than the Champagne Bar, I would head to Sphere. This is a large area with a busy bar and a quieter lounge area with fireplaces and comfortable seats. They do a good range of cocktails and it is ideal if you just want to have a more casual meal. 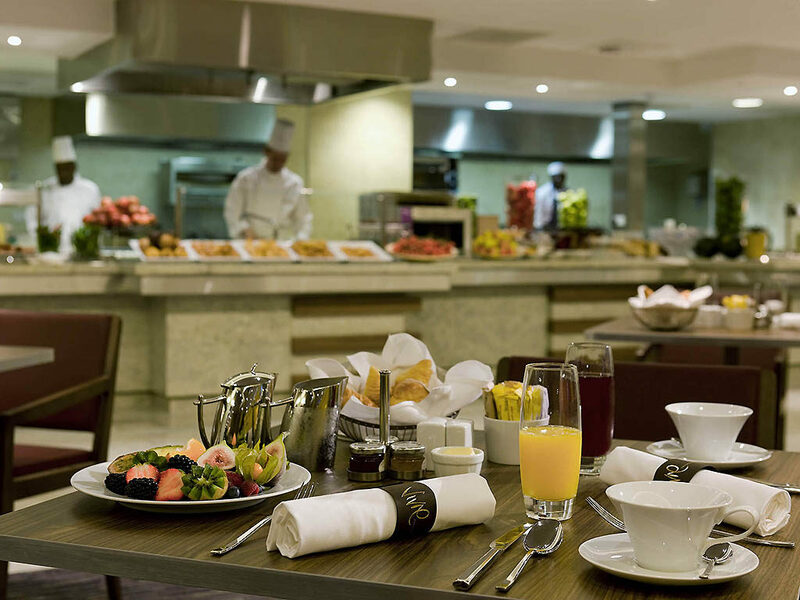 This is the casual buffet restaurant where they serve breakfast and dinner daily. 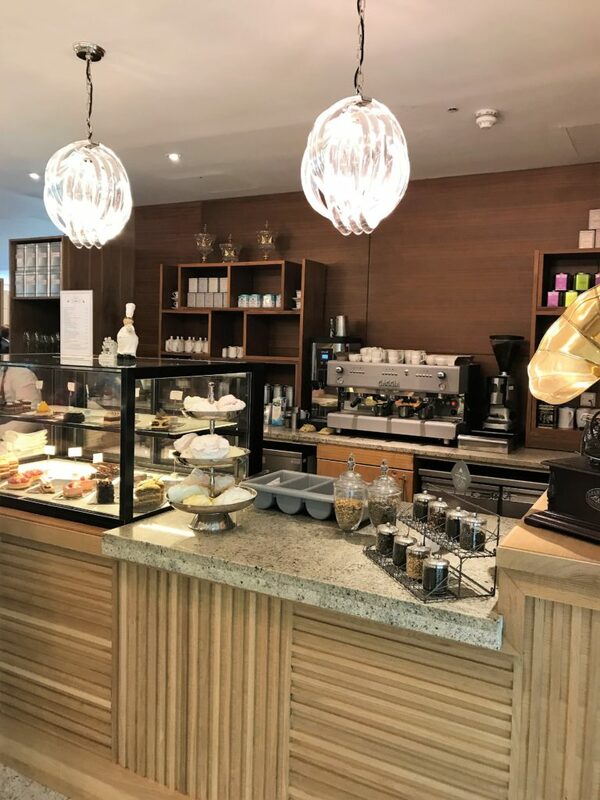 If you just want a quick coffee and a snack, the Tea 5 Café is the place to go. They had a very tempting collection of cakes and pastries that kept calling my name as I walked past, the meringues looked particularly good. I have always been a fan of the lounge at the Sofitel since I used to get access as a Platinum LeClub Accor member. I do think if you are going to be around enough to get the value out of it, this one is worth the extra money. The staff at the lounge are always excellent and the lady that was serving when I was there has been there quite a long time. I have seen her a few times before. She was quick to clear away dirty plates and topped up the food regularly. It was a nice touch when she indicated there was a spare seat during the evening service when it was very busy. I visited the lounge 3 times to look at all the various offerings. In the afternoon they serve a traditional afternoon tea. 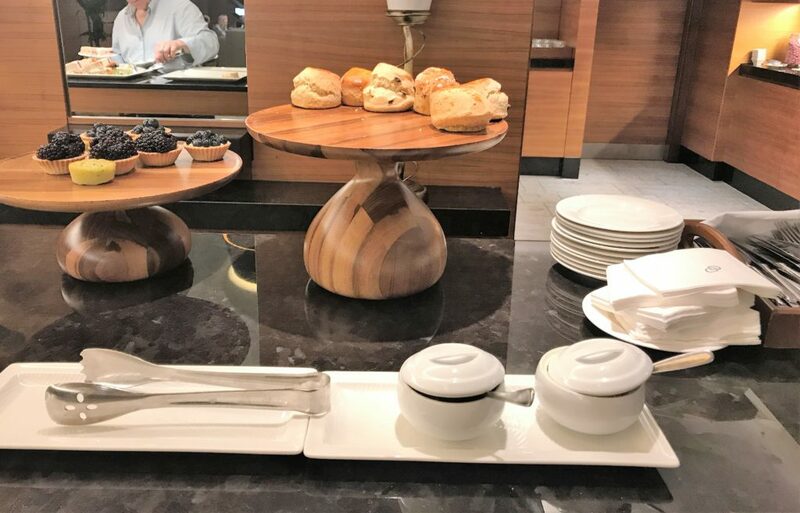 This consisted of a choice of vegetarian or non-vegetarian sandwiches, scones, clotted cream, jam, cakes and warm pastries. There was a lot of food on offer and this could easily be enough instead of lunch or lunch and breakfast in my case! The lounge was pretty quiet at this time of day. In the evening they serve “canapés” and drinks. The food is available until 8pm and the drinks until 10pm. 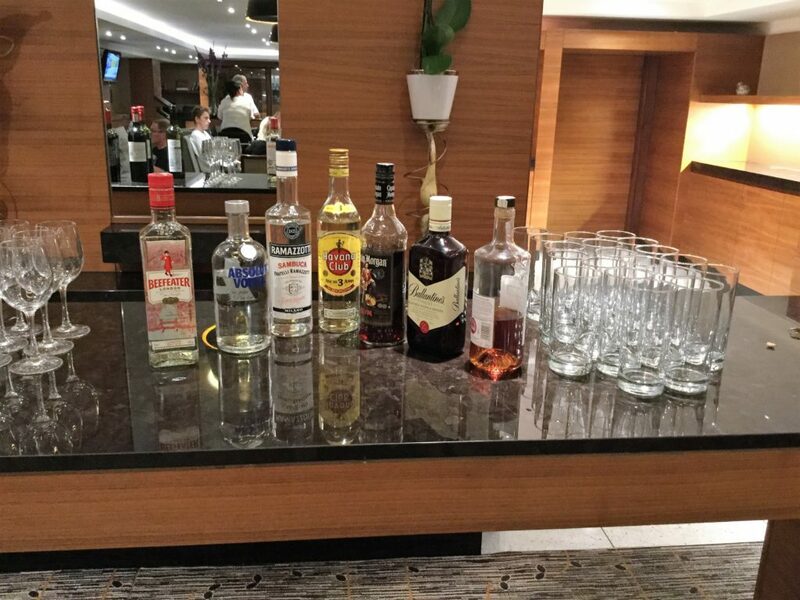 Having alcohol until 10pm is partly what makes this good value for money as most lounges only serve it for a couple of hours. For food, there were some quite substantial offerings. 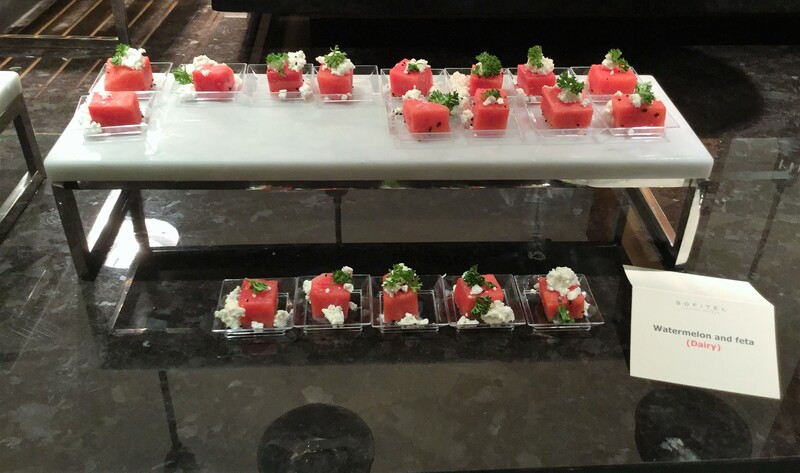 There were cold items such as watermelon with feta and a cheese board. 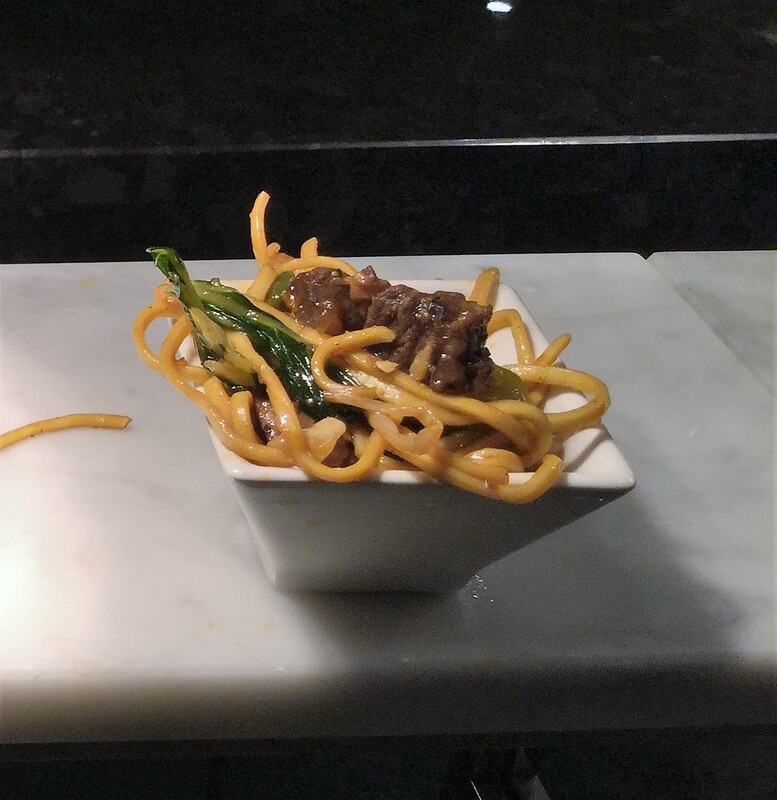 The hot items were pretty substantial such as butter chicken with rice in small bowls, beef chow mein and gyoza with a chili dip. I would advise getting to the lounge early for the evening canapes as it was very busy when I was there and almost every chair was occupied. Since I was trying to work, I sat at one of the computers initially. There was a good choice of wines, with 3 each of red and white, although no sparkling option. They weren’t fine wines but were a better quality than most wine in hotel lounges. I enjoyed a glass or 2 of Malbec. The spirits had all the usual suspects as well as a rather odd bottle of Sambuca, perhaps in case, you felt like doing a few shots! 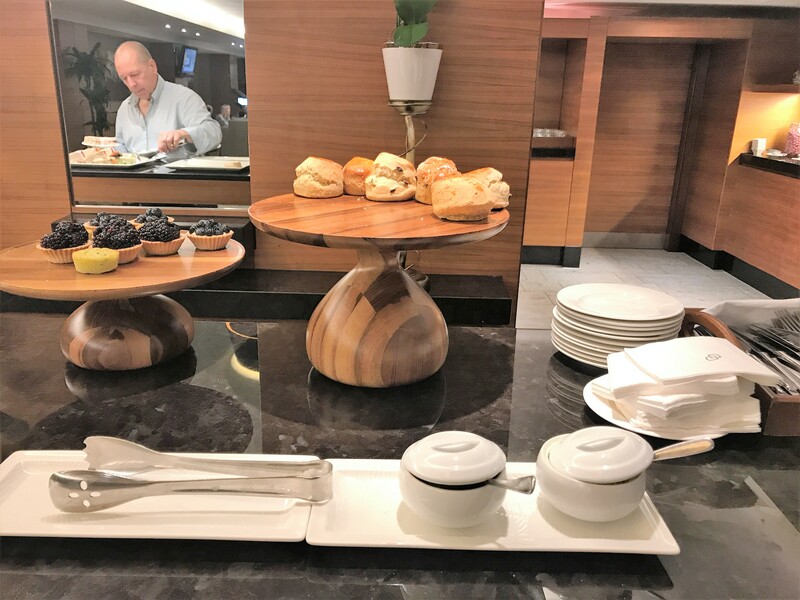 I didn’t eat breakfast in the lounge as I was planning on visiting the BA lounge after check in. However, I popped in to have a look at what was on offer. There was certainly enough on offer to make a substantial breakfast if you wanted. In the cold section, they had smoked salmon, meats, cheeses, smoothies, yogurts and even salad. The fresh fruit looked tempting with lush looking strawberries and pineapple as well as whole fruit. There were cereals with an assortment of nuts and dried fruit which you could add. Things had changed since my last visit and you can now order a full English if you want, which is great for a lounge. 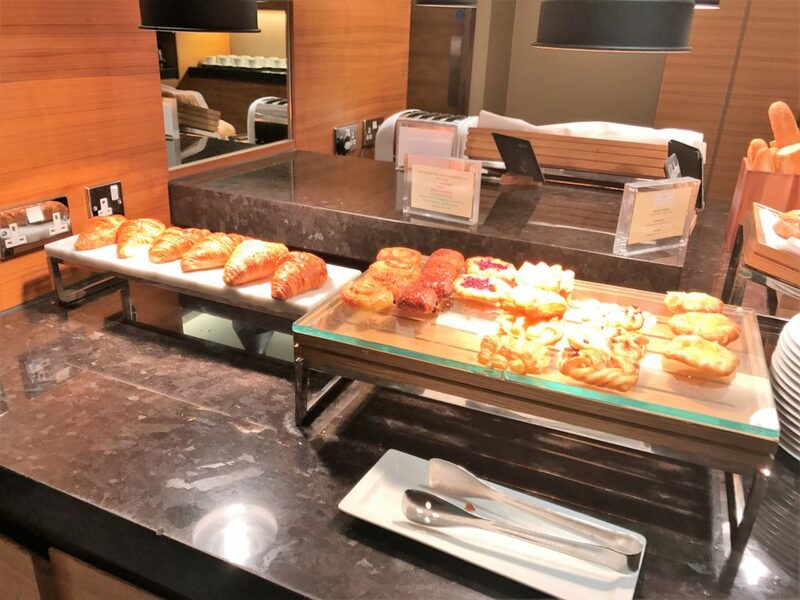 They also had warm pastries and a selection of bread. The coffee was from a good bean to cup machine and it was great to see take away cups if you just wanted to grab one on the way to the airport. The Sofitel at T5 does not usually come cheap. I paid £166 during a sale for a classic room, plus I then got 15% cashback through Quidco, bringing the total to £141. This is pretty good for a week night. There are a number of ways to keep the cost down. For a start, weekends are normally much more reasonable including Friday and Sunday nights. You can usually get cashback of 15% through Topcashback or Quidco for Sofitel and Pullman hotels. 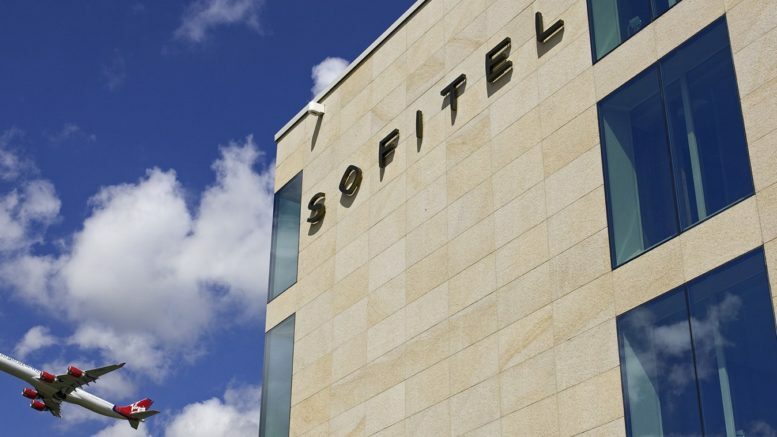 lastminute.com is another good option as you can often get the Sofitel for around £140 during one of their sales. Finally, it often features on lastminute’s Top secret hotels for around £120 plus you can still get 8-10% cashback on top. It normally only appears close to the time as a Top Secret Hotel. In terms of convenience, facilities, a good night’s sleep and the Club lounge, you still can’t beat the Sofitel for me. It is expensive but if you can get a good deal, it is more than worth it. I particularly enjoyed my spa experience this time and that alone would encourage me to return. 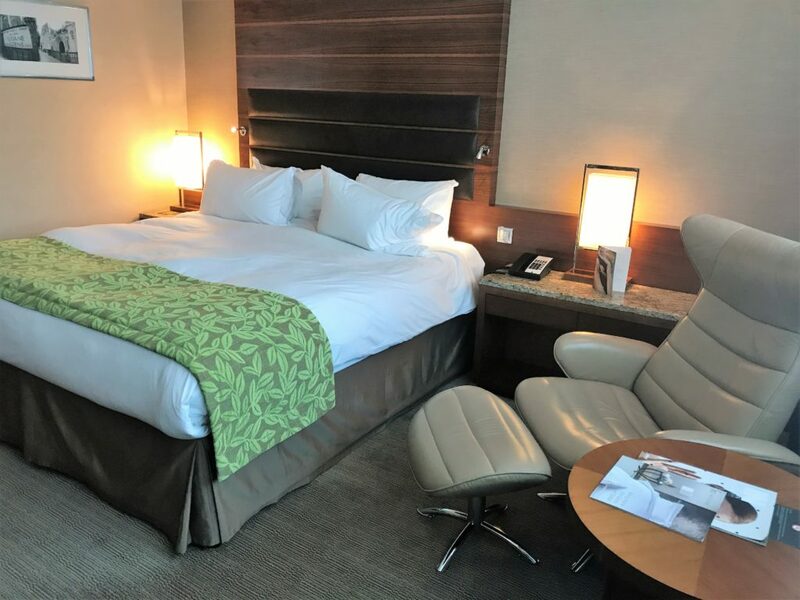 I think they will need to think about updating the rooms in the next few years as they start to build more hotels on site at Heathrow, but the common areas still look impressive. You can find more information here. 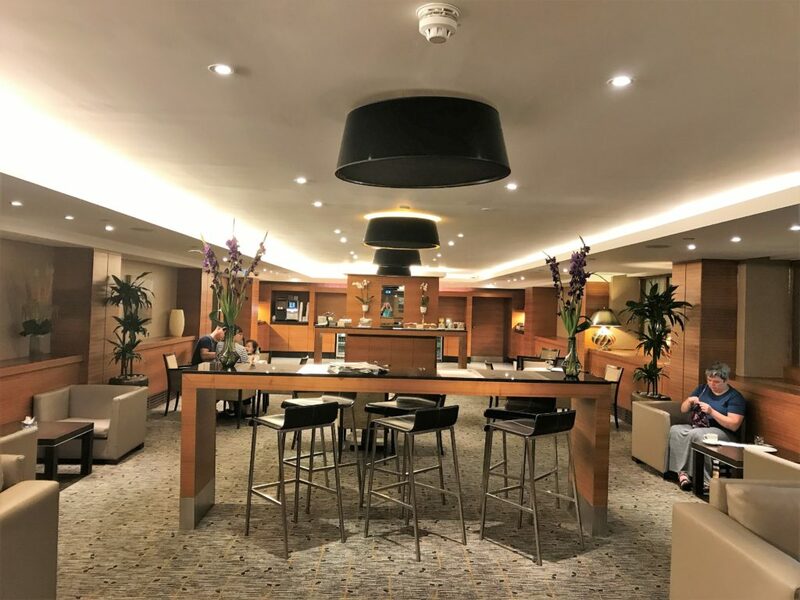 Be the first to comment on "Sofitel Hotel London Heathrow Terminal 5 review"